Dublin (AFP) – Britain and Ireland braced Sunday for a lashing from Ophelia, the largest hurricane ever recorded so far east in the Atlantic Ocean, after it dumped heavy rains on Portugal’s Azores islands. As the storm passed near the Azores archipelago on Saturday it was classed Category 3, which means it packed winds of at least 178 kilometres (110 miles) per hour. Though cooler seas will weaken the storm as it churns towards the west coast of Ireland, it still has enough power to damage buildings and provoke “dangerous” sea conditions as well as potential flooding, Irish authorities said. It is the 15th named storm of the 2017 Atlantic season, which is expected to last until the end of November. Three major hurricanes — Harvey, Irma and Maria — caused catastrophic damage in the Caribbean and the US Gulf Coast. By the time Ophelia reaches Ireland on Monday it is expected to weaken to a “post tropical storm” with severe winds and stormy conditions, according to the US National Hurricane Center. Ireland’s Met Eireann national weather service has issued a “status red” alert for eight western and southern counties, warning of severe winds and stormy conditions. 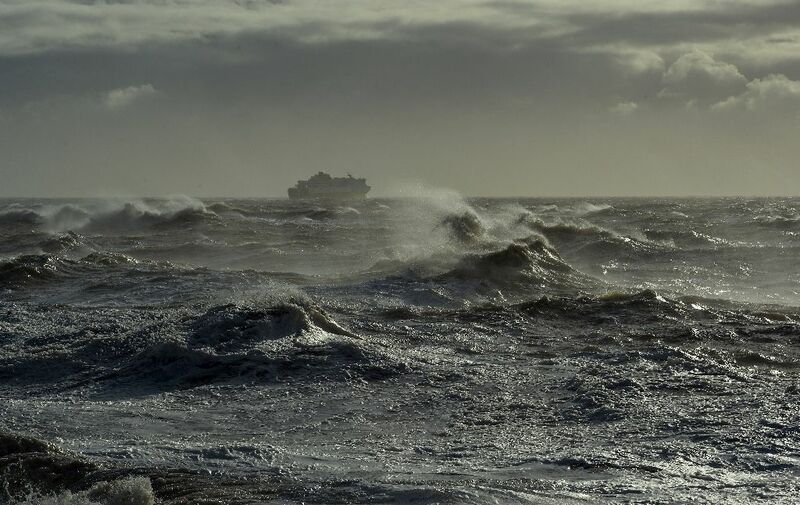 “Mean wind speeds in excess of 80 kph (50 mph) and gusts in excess of 130 kph (80 mph) are expected, potentially causing structural damage and disruption, with dangerous marine conditions due to high seas and potential flooding,” it said. All schools in areas affected by the red wind alert are to close on Monday. Flights, ferries and buses all face disruption. Cork Airport in southwest Ireland said “cancellations are likely” and urged passengers to check with their airlines in advance of travel. After skirting up the Irish coast, the eye of the storm was forecast to cross Scotland. “By the time Ophelia reaches our latitudes, she will be weakening and will be an ex-hurricane,” said Steve Ramsdale, chief forecaster at Britain’s Met Office national weather service. An amber wind warning has been issued for Northern Ireland between 1400 GMT and 2100 GMT, when gusts could reach up to 130 kph (80 mph). Meanwhile Matt Crofts, a lifesaving manager with the Royal National Lifeboat Institution, said the seas could be “particularly dangerous and unpredictable”. “Stormy conditions may be tempting to watch but big waves can easily knock you off your feet. Seven of the nine islands in the Azores were on high alert for the storm’s passage, but it did not cause major damage, authorities told reporters. Four trees were torn out of the ground on the island of Sao Miguel and firefighters responded to six incidents across the Azores to deal with small floods or landslides. Several flights between the islands or to the Portuguese mainland were cancelled, affecting about 800 passengers.